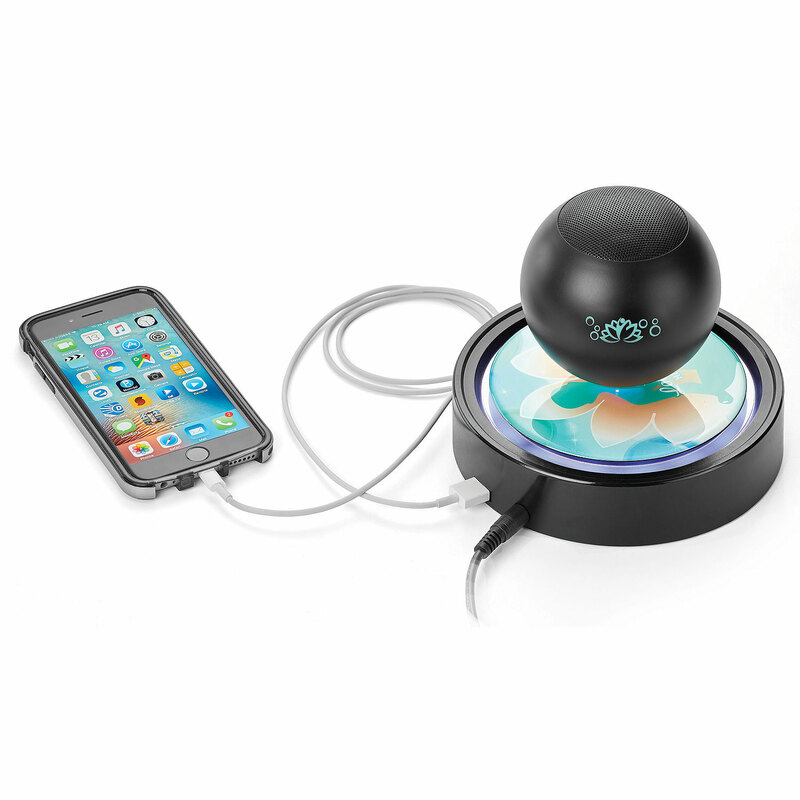 Amplify your phone's music with this Bluetooth speaker! The built-in rechargeable battery provides a minimum of 6 hours of use when fully charged, and has a maximum power of 95 dB and iron casing. 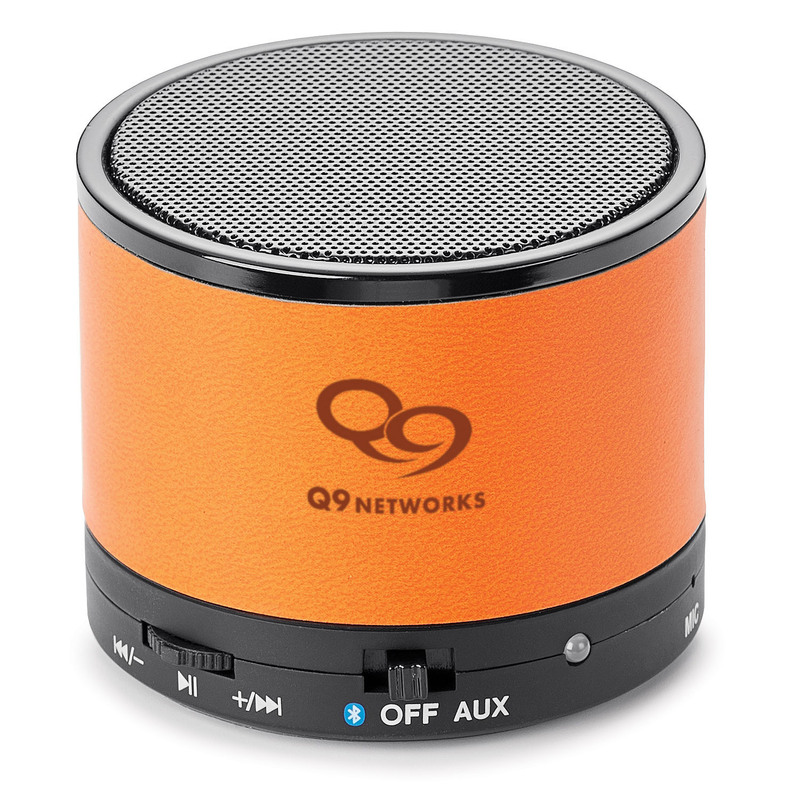 Features a control for volume, on/off switch, play/pause, forward/reverse and includes a multi-function USB/AUX cable that allows you to charge the batter or listen to music by connecting the cable to your computer. CE/FCC certified, user manual included. These Vinyl wrapped speakers provide a unique way to brand your next giveaway! 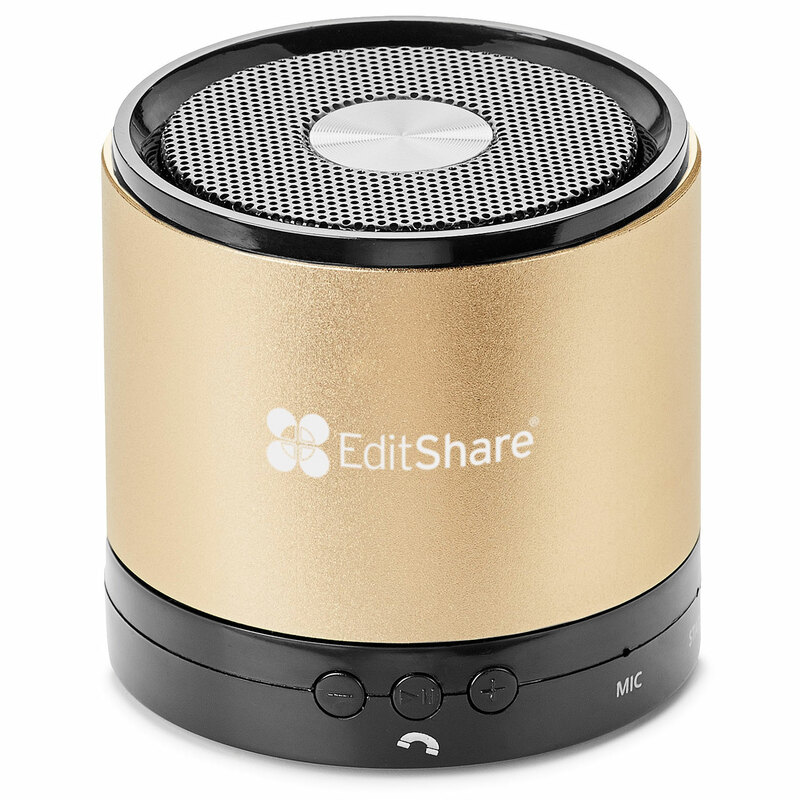 The metal Addi Donal speaker is compatible with audio devices that have a 3.5 mm audio jack and Bluetooth technology. 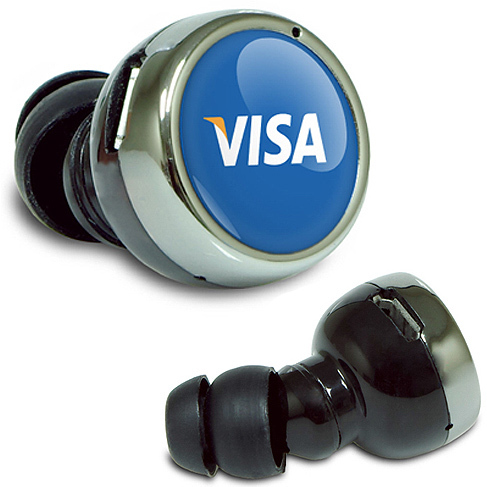 Features controls for adjusting volume, play/pause, skipping songs, accepting/rejecting/redialing phone calls, a built-in microphone, and LED status indicator. 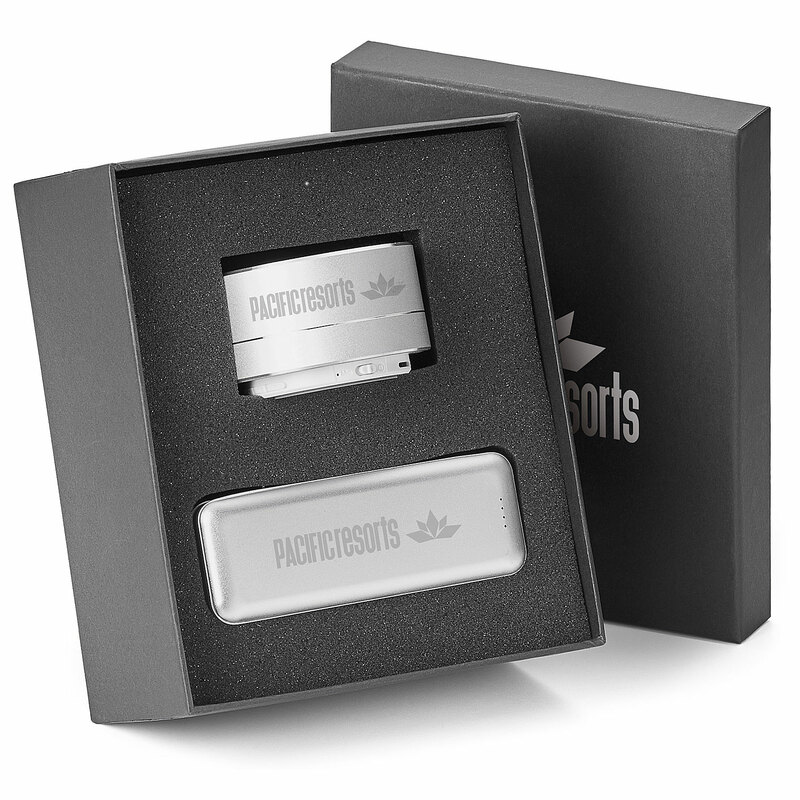 Includes a multi-purpose charging/audio cable with USB, micro USB, and 3.5 mm plugs. Also comes with a black drawstring pouch. Speaker sound is 95 decibels, and playback is 10 hours with 2 hours recharging time. Small and mighty, the Addi Junior Wireless Speaker is compatible with audio devices that have a 3.5 mm audio jack and wireless technology. 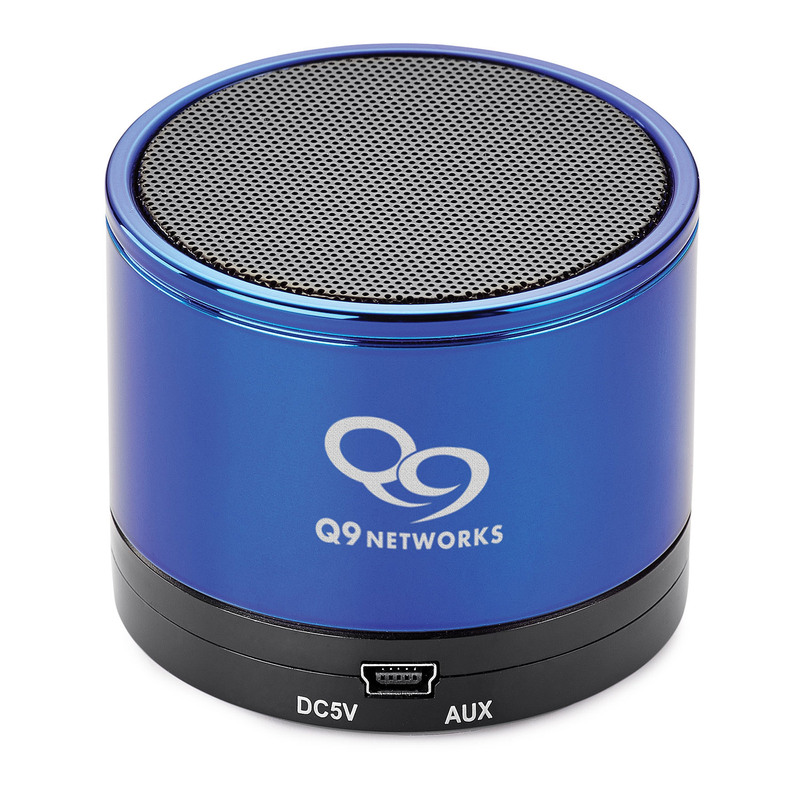 Great for taking with you on the go, this metal speaker has controls for adjusting volume, play/pause, skipping songs, accepting/rejecting/redialing phone calls, a built-in microphone and LED status indicator. Includes a USB/micro USB charging cable and an audio cable with a 3.5 mm plug. Let the sound track begin with the ultra-thin and foldable Adina! Pair this wireless CSR stereo headphone with your computer or smart device and enjoy an incredible 25 hours of playback on a single 3 hour charge. If you need unlimited playback, then use the 3.5 mm audio cord feature. You wonÂt have to remove this comfortable headphone when your phone rings because it also has a built-in microphone that allows you to answer mobile calls. Comes in a hard cover Vinyl case with zip closure. A new decorating technique called HD ready will take your speaker to the next level! Use your imagination to come up with the most creative idea. 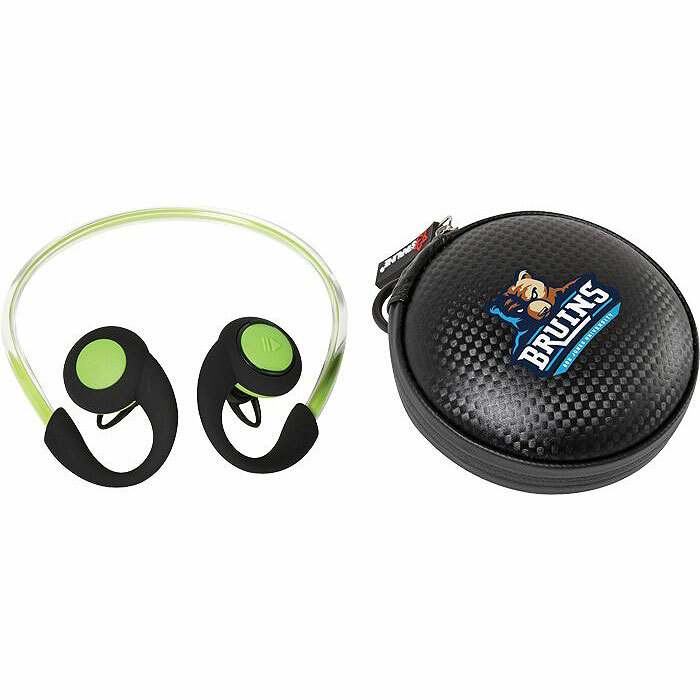 The All Day DJ provides great sound and is lightweight and portable. Listen to music wirelessly, via micro SD card or plug in 3.5mm audio cable, or tune into the FM radio. FCC certified, this speaker has a 3W capacity, operating distance up to 15 meters and audio voice warning for low battery. 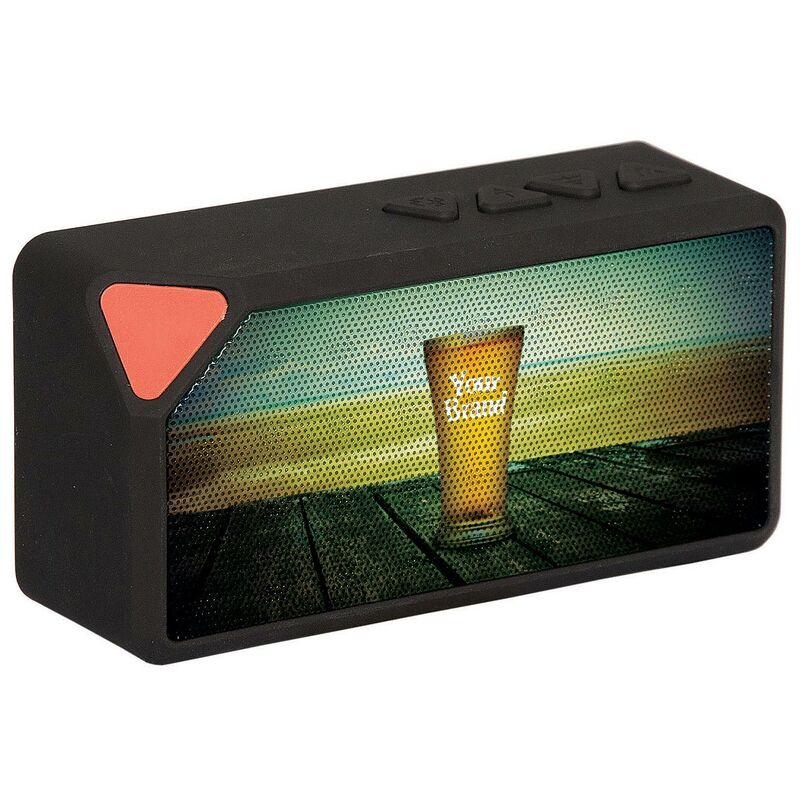 Features a control panel on top for easy listening at your desk, countertop or patio and plays the radio and music directly off the USB drive. Includes 2-in-1 3.5 mm audio/micro USB charging cable and instructions. 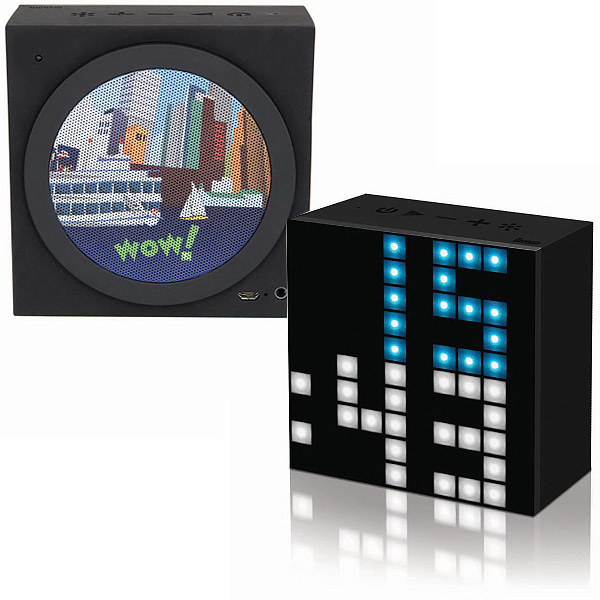 Stay entertained on long rides or flights! 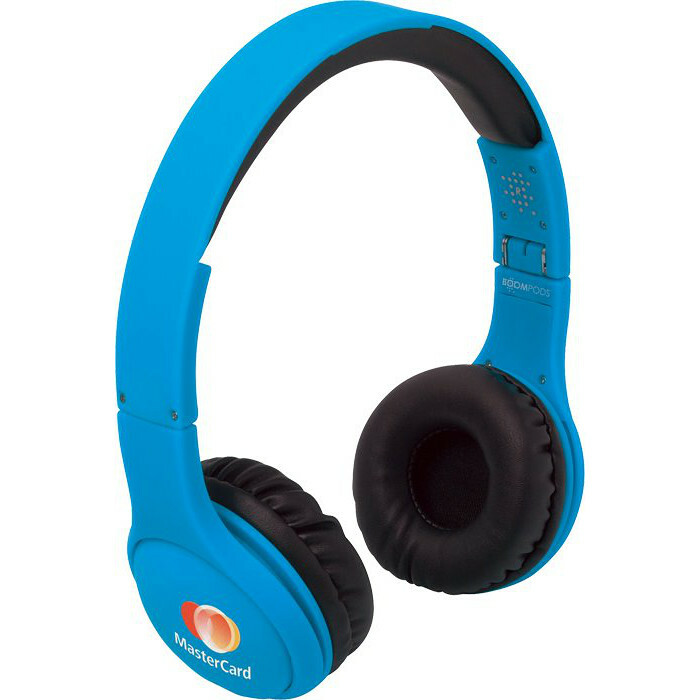 Comfortably listen to music in style with these headphones in your choice of 5 vibrant colours. 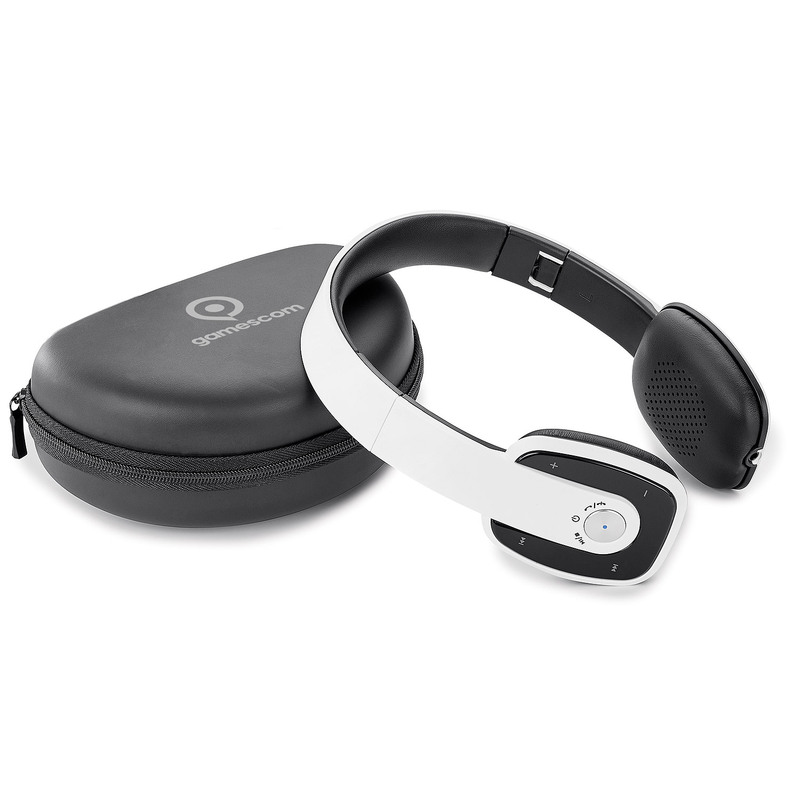 Immerse yourself in your music while enjoying the comfort of an adjustable headband, and cushioned ear cups. Features a fold-flat design for easy storage and transport when not in use. Includes a 3.5 mm audio jack. 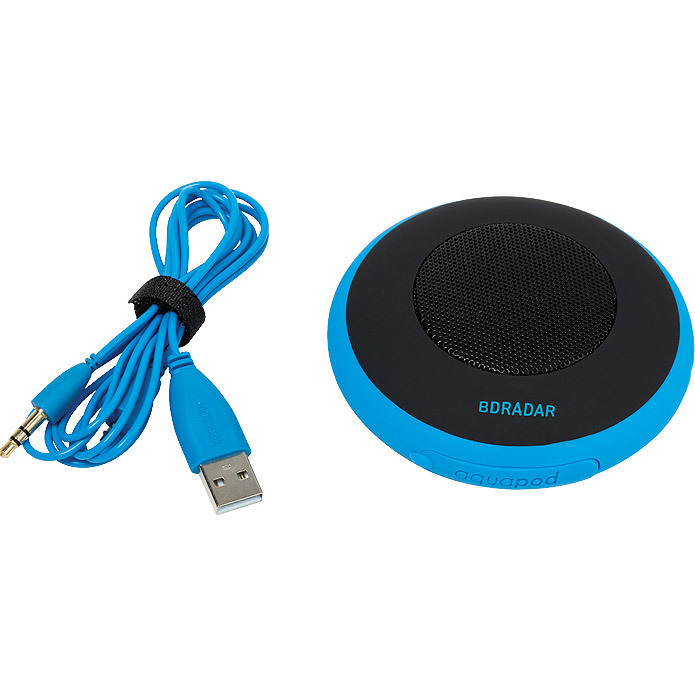 Cyclists, boaters, campers and hikers... you will LOVE this speaker! The BoompodsÂ Aquapod has an IPX7 water resistant rating and is easy to connect using A2DP Bluetooth V4.0 EDR. It features 4 easy to use buttons on the side of the speaker, and voice notification for power on/off, pairing, and low battery. Enjoy up to 4-1/2 hours of play time with an operating range of up to 10m (33 ft), and a 2 hour recharge time. Includes a removable suction cup, clamp, split cable (USB/AUX) for recharging, 3.5 mm audio cable, carabiner, lanyard and user's manual.